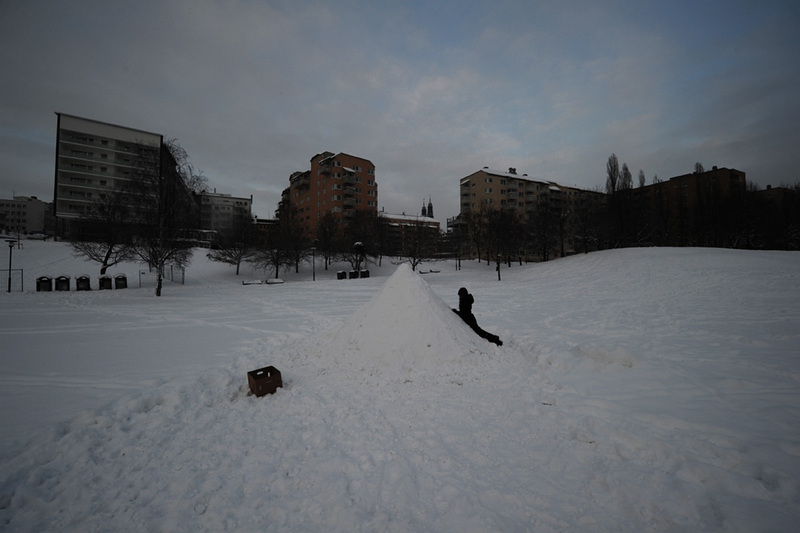 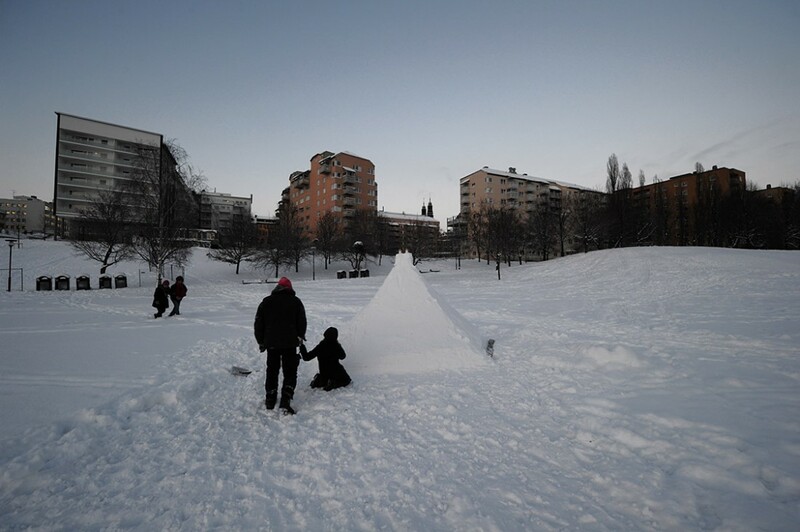 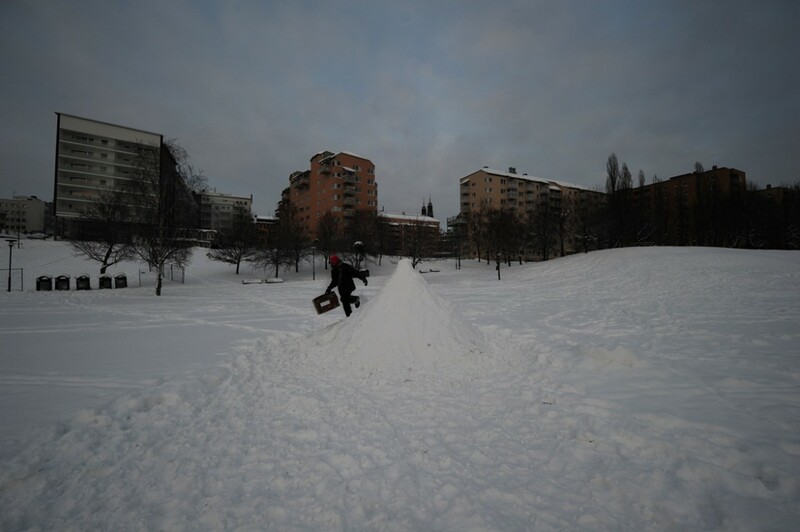 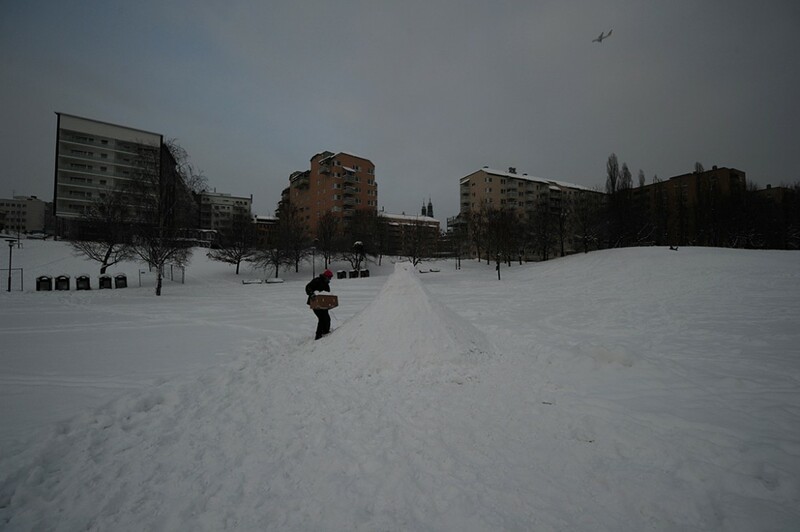 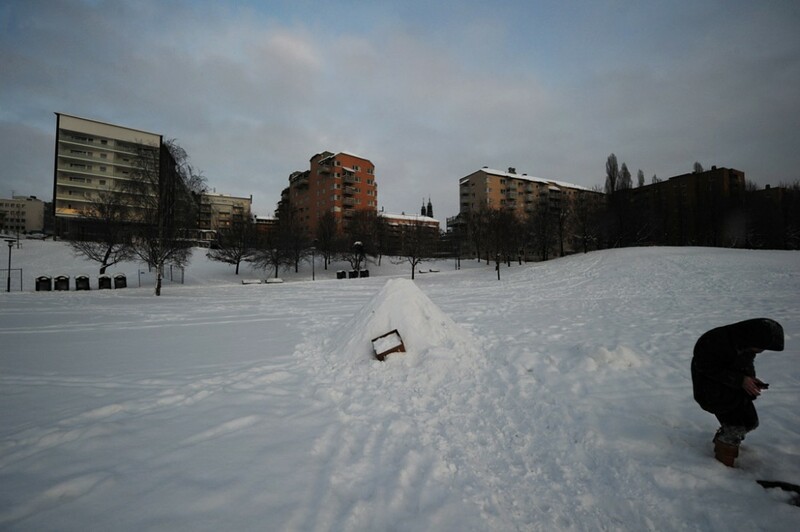 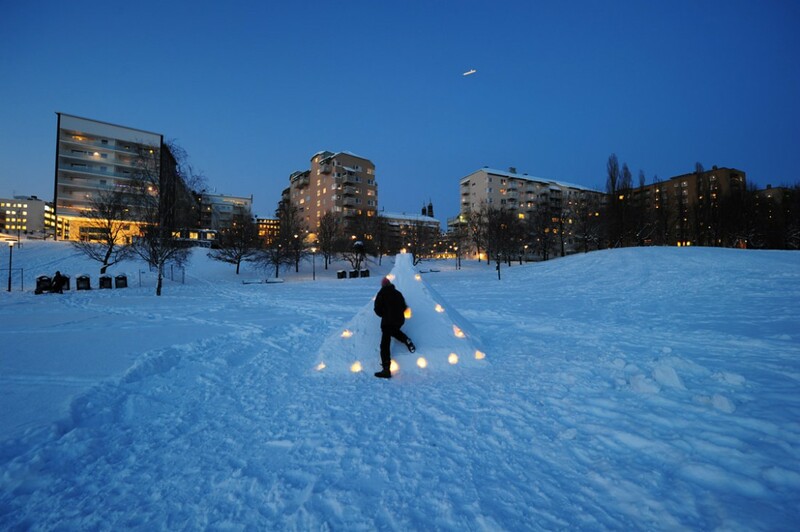 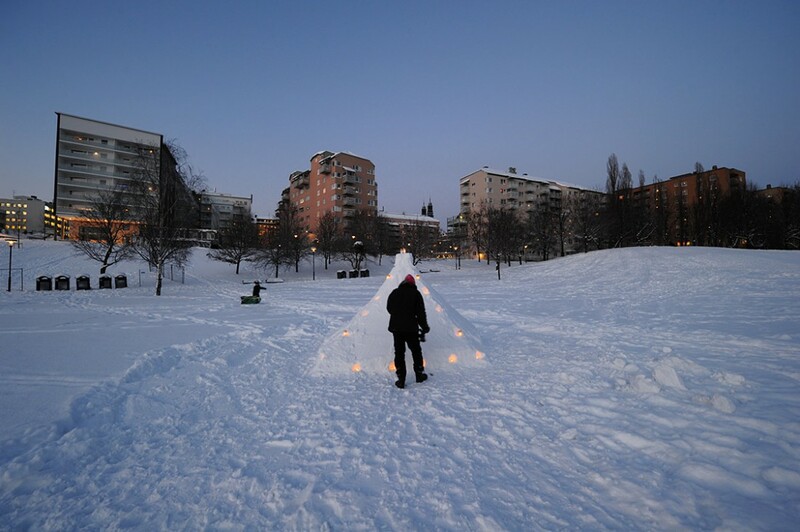 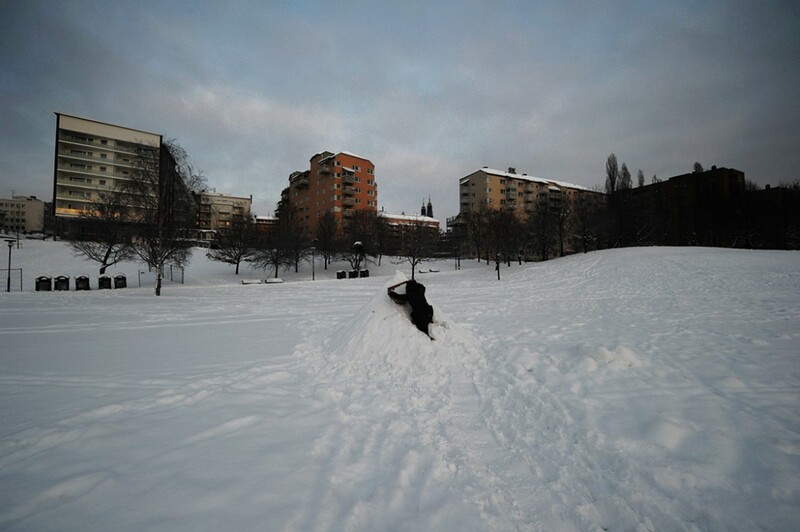 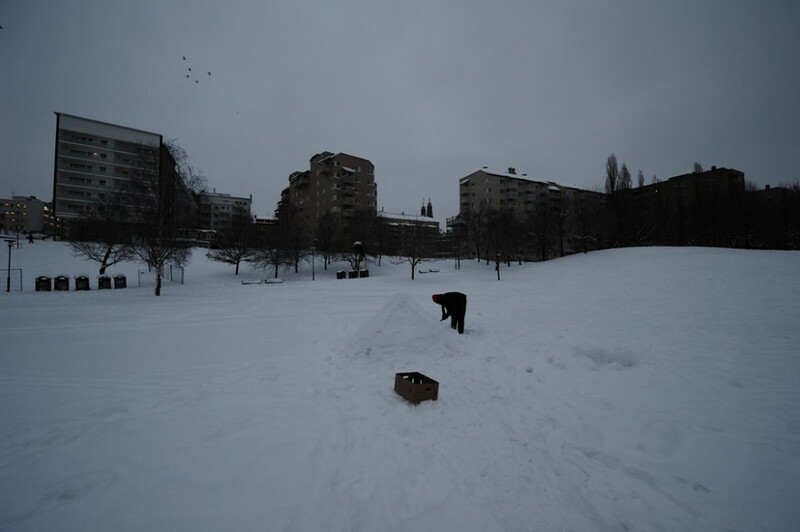 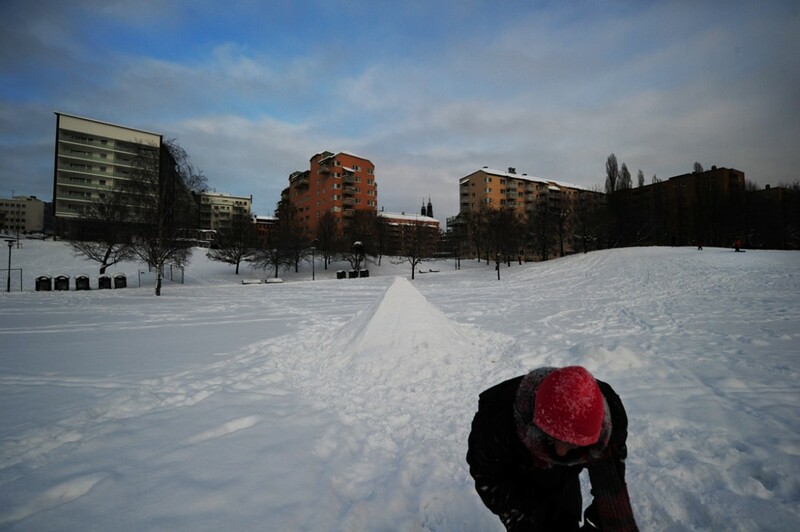 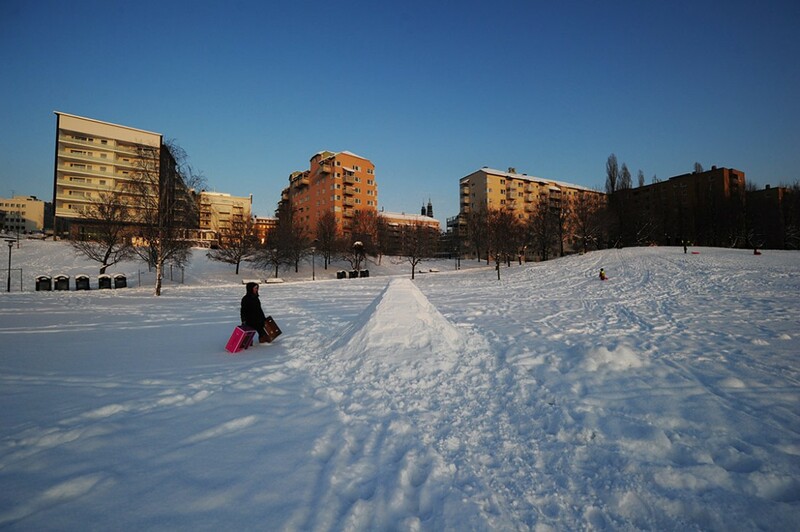 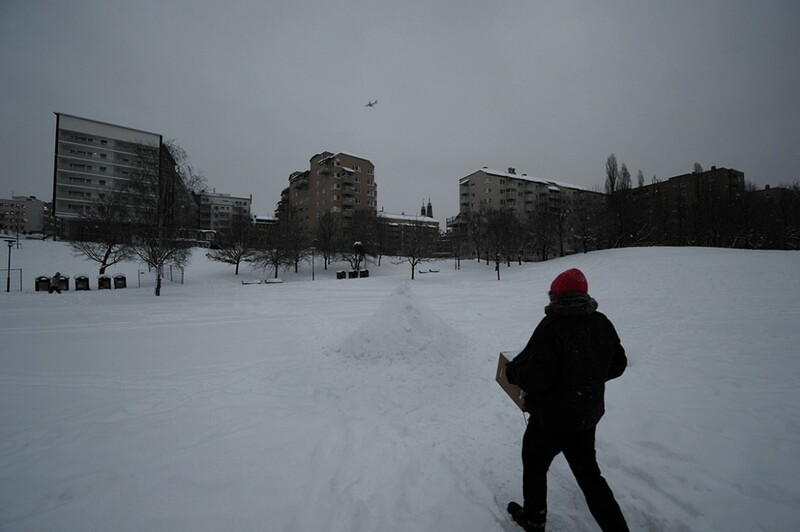 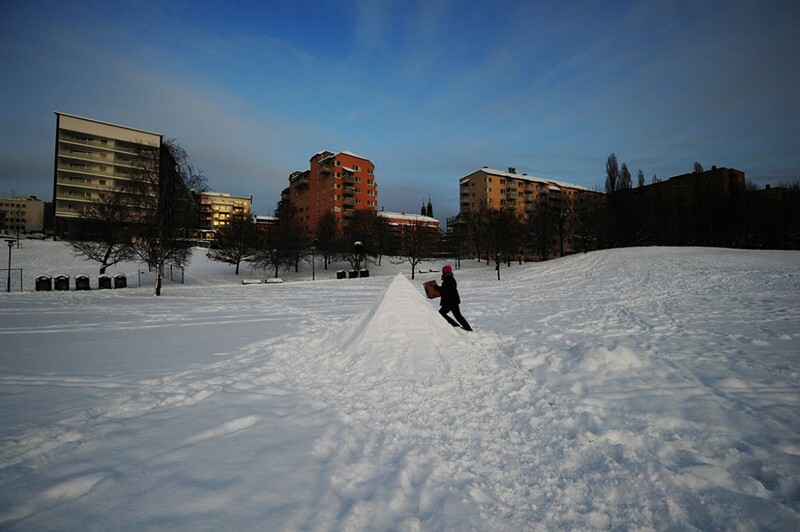 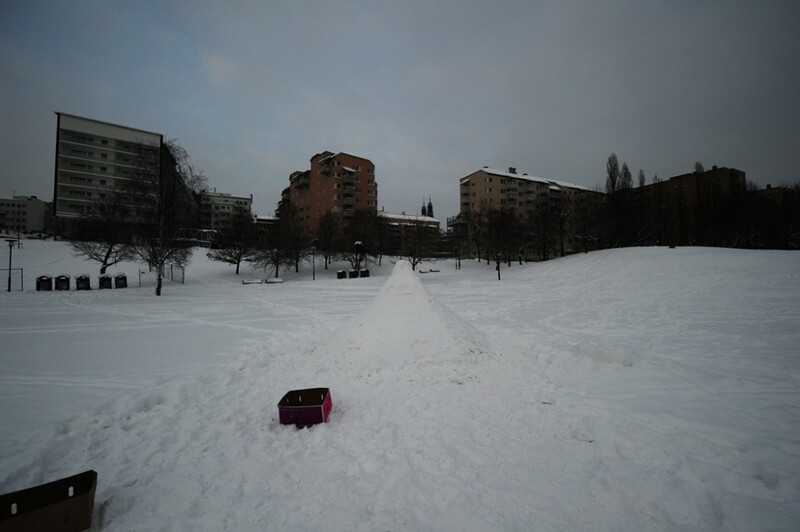 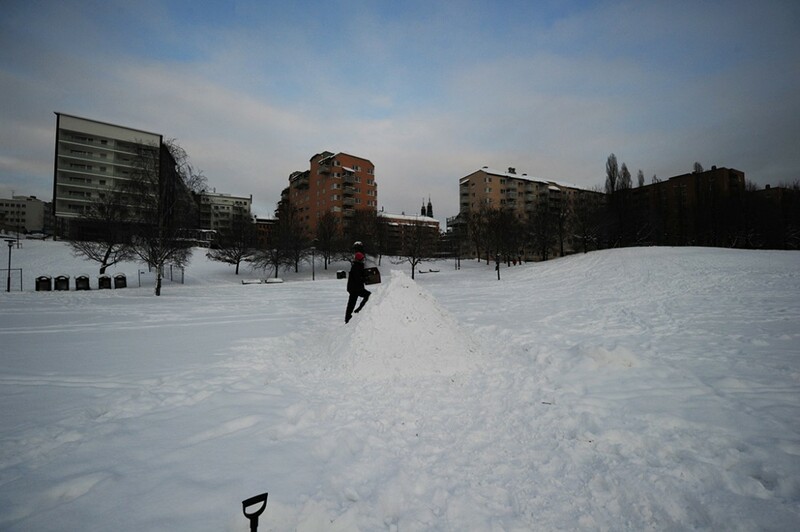 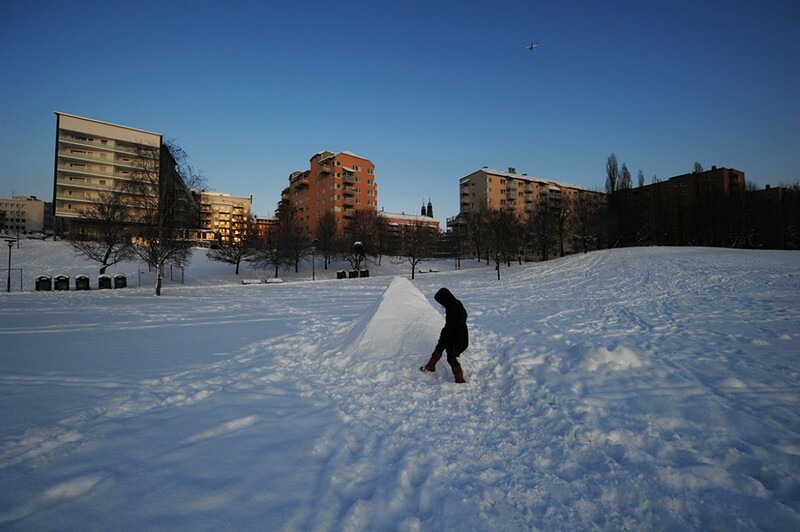 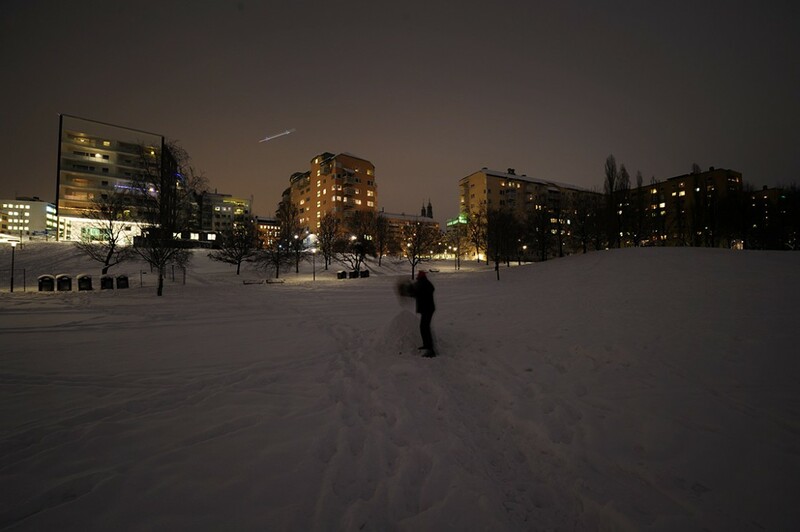 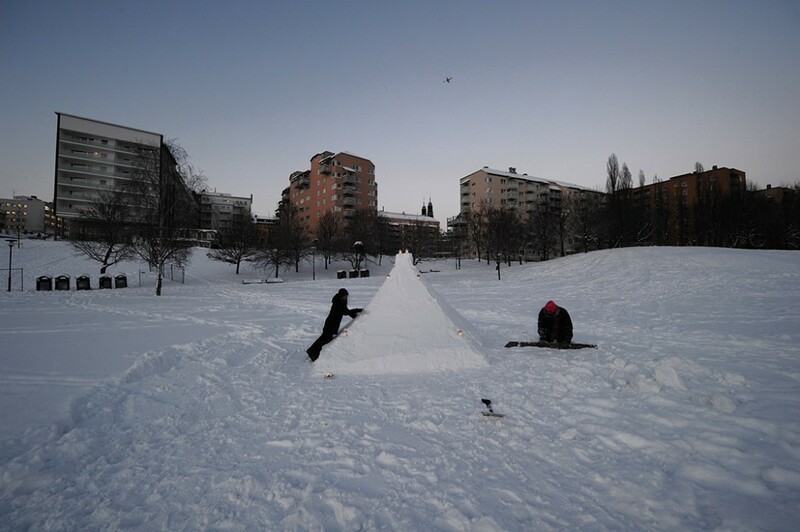 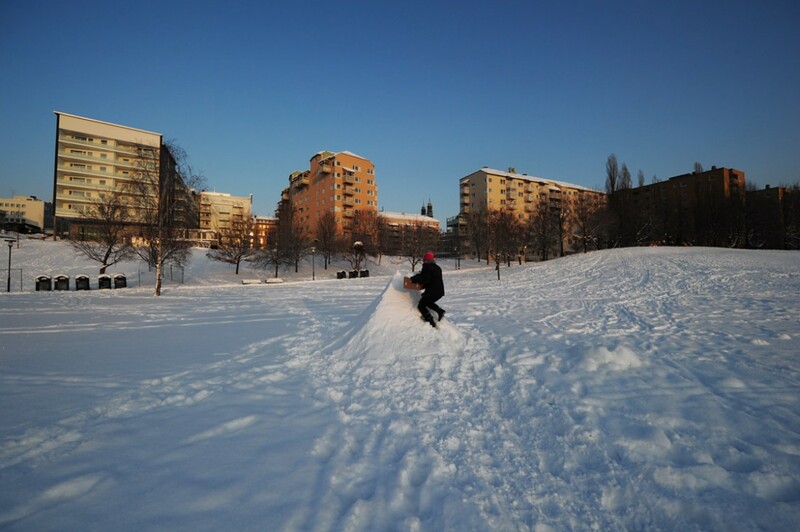 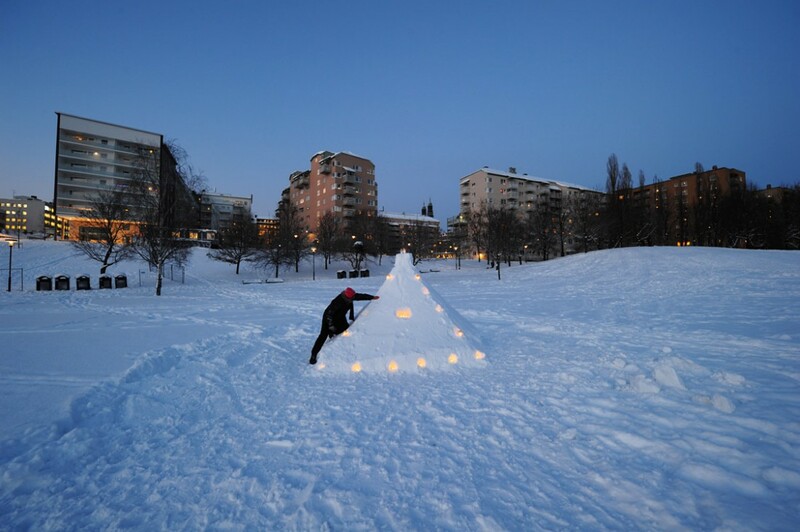 To celebrate the return of the light on December 22nd 2010, I decided to build a pyramid of snow in Tantolunden, Stockholm. 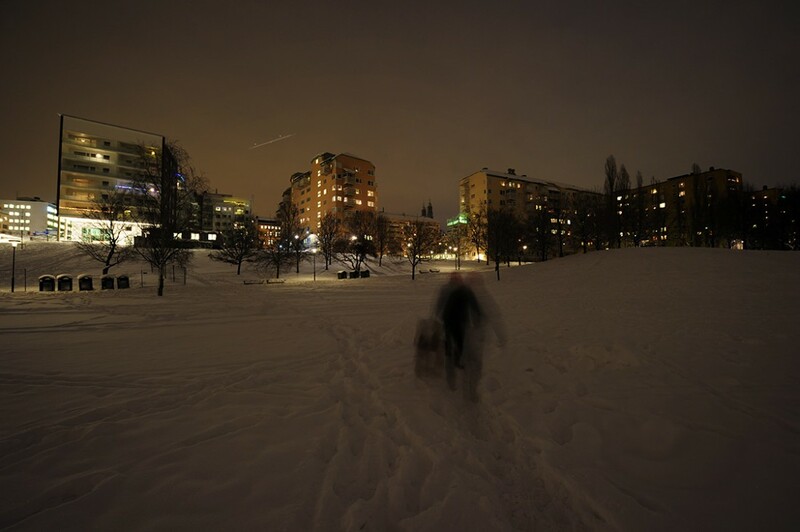 A camera captured the whole process by automatically taking one photo every twenty seconds between 7 am and 5 pm. 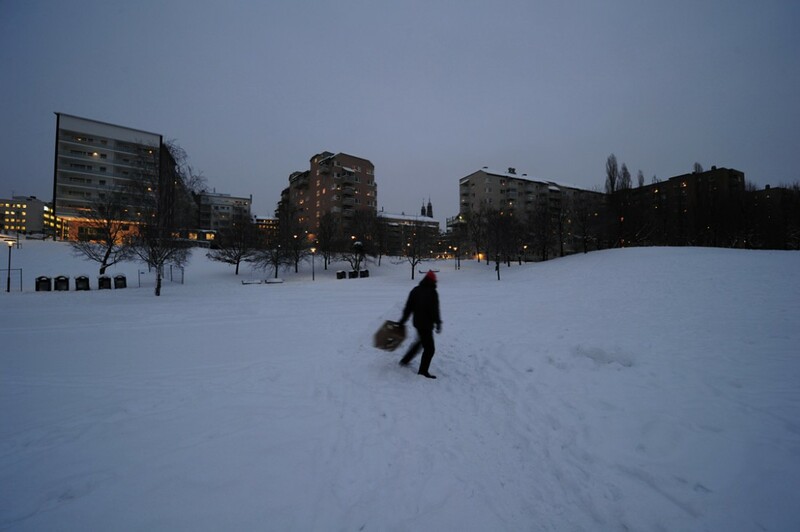 What I was not prepared for, was the temperature going down to -22 °C (7,6 °F). 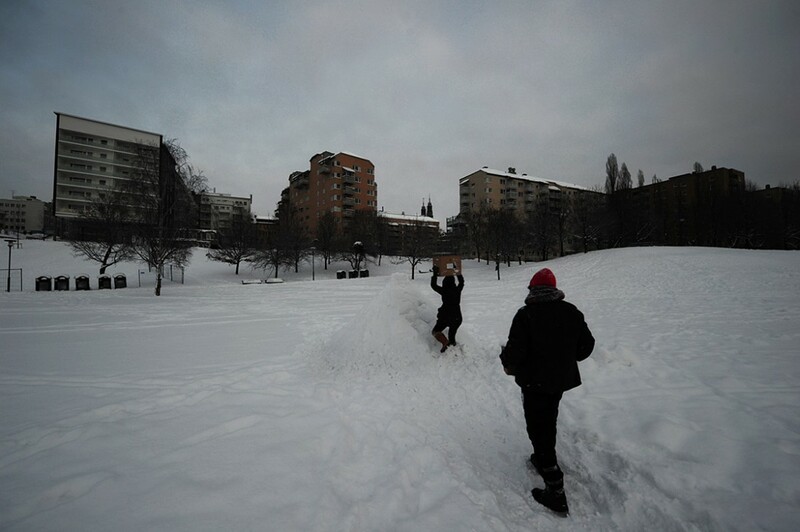 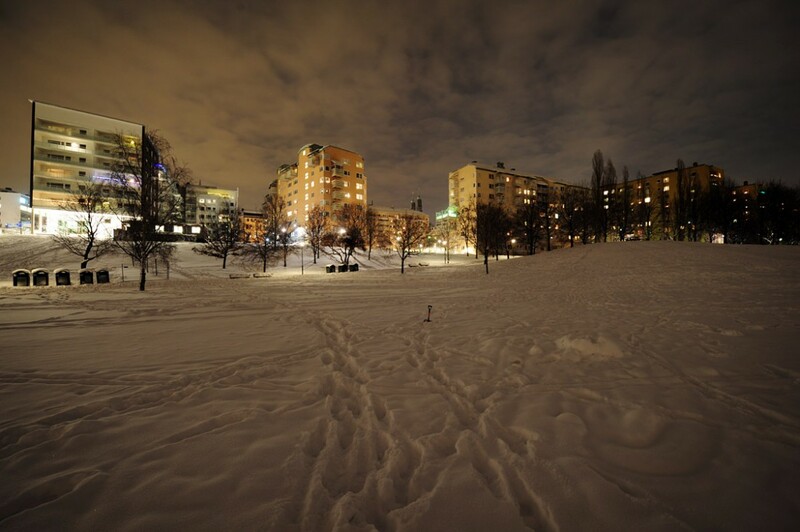 It was the coldest day in Stockholm for 110 years. 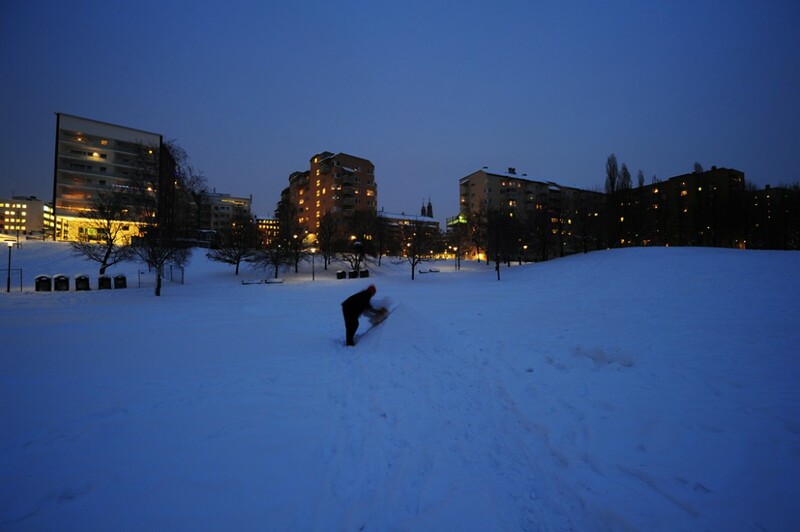 The winter solstice is the moment when the sun reaches minimum declination. 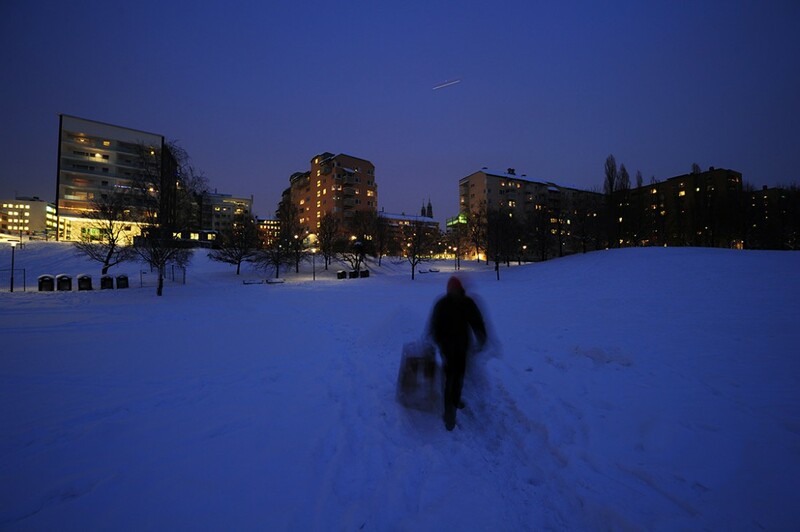 This results in the shortest day and longest night of the year, in the northern hemisphere. Since ancient times, this day has been recognized in various ways and celebrated by different religions and cultures. 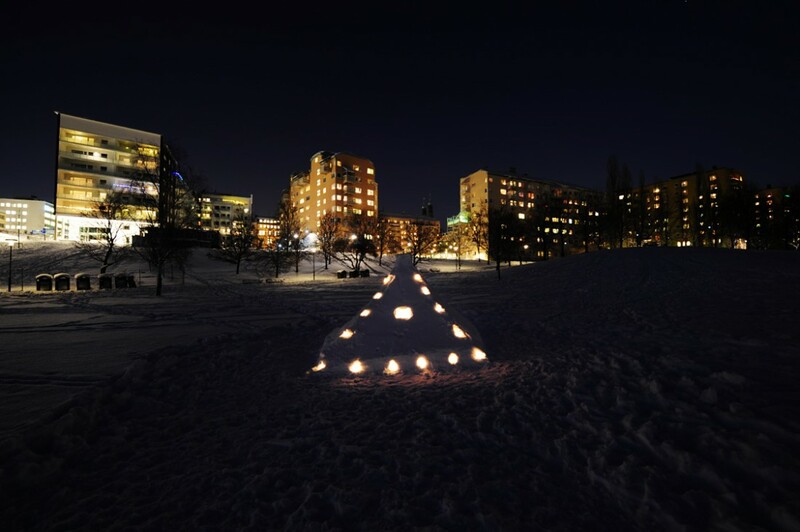 One thing they have in common is sacrificing for the light to return and for achieving god’s blessings for the next agricultural year. 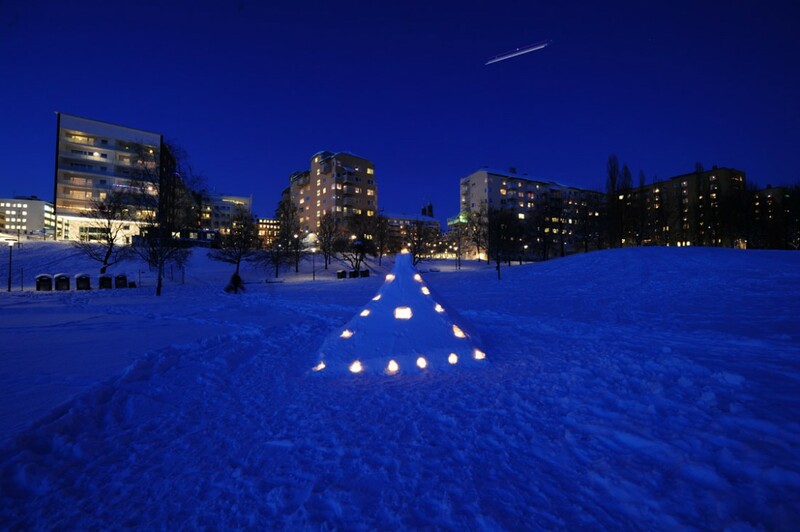 The winter solstice usually occurs around December 21th during the so-called Thomas day. 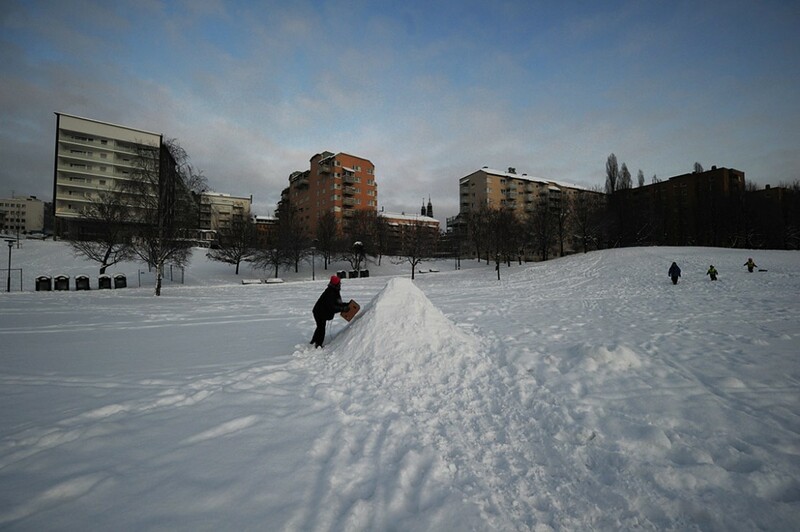 It used to be a public holiday in Sweden until 1772.